In Pompano Beach the Motorcycle Accident Attorney, Robert E. Gluck, knows how dangerous the road is for motorcyclists. Injuries from an accident can be devastating and change your life forever. Robert E. Gluck will be at your side every step of the way, and he will offer you the emotional support you need to get through this difficult moment. Robert E. Gluck will fight for your rights if you have been injured in a motorcycle accident. He will be your voice during this very difficult time. If you need a Pompano Beach Motorcycle Accident Attorney, contact Robert E. Gluck today. Before Robert E. Gluck can get you the settlement you deserve, he must first prove that negligence existed at the time of the accident. Negligence happens when a person has failed to take good care of another person, and it results in an accident. Once negligence has been verified, he will be able to fight for your rights to receive financial compensation for your hospital bills. Robert E. Gluck will protect your rights and make sure you are treated fairly. You need a Pompano Beach Motorcycle Accident Attorney for a better chance to win a settlement. Studies indicate that higher settlement is received when an injured person has legal representation. When you have been in a motorcycle accident, it is very important you contact your accident attorney as soon as possible. The sooner you begin the process, the better chance of receiving a fair settlement. Do not try to represent yourself, it's important to have someone who understands the law for a better chance of wining. 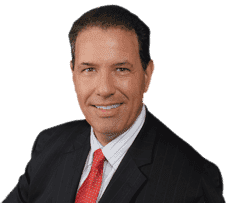 Trust Robert E. Gluck to do an excellent job, he has represented clients with similar cases who have received satisfying outcomes. Your Pompano Beach Motorcycle Accident Attorney will make certain you are given top-quality, professional legal assistance. Robert E. Gluck will find witnesses and get their statements, he will obtain video footage, take pictures, and examine the accident scene for damage. He will gather all the evidence that he can find to build a strong case for you. Robert E. Gluck will work hard to get you the financial compensation you deserve. He has the right legal resources and experience to serve as a powerful voice on your behalf.